There were 238 battles and skirmishes in New Jersey, more than occurred in any other state. At least 18,000 New Jersey men fought in either the Continental Army or militia units. The first two regiments were authorized by Congress on October 9, 1775. The Third New Jersey Regiment was authorized on January 1, 1776. Forman's Additional Continental Regiment, under the command of Colonel David Forman, was authorized on September 16, 1776. Another unit, known formally as Spencer's Additional Continental Regiment, under the command of Colonel Oliver Spencer, was sometimes referred to as the Fifth New Jersey Regiment. Neither unit was ever allotted to the New Jersey Line although they contained a large proportion of troops from New Jersey. Matthias Ogden was born at Elizabethtown, New Jersey in 1754, the son of Robert Ogden, a lawyer. Robert was politically prominent, serving as the speaker of the House of Representatives on the eve of the Revolution. The family had deep roots in New Jersey: John Ogden had built a house in Elizabeth in 1664 after having moved from Long Island, where he had settled in 1640 from Hampshire, England. Matthias attended the College of New Jersey (Princeton University) as did his brother Aaron. He went along as a volunteer on Arnold's march to Quebec and was wounded in the assault on that city on December 31, 1775. He was named lieutenant colonel of the First New Jersey in March 1776. He became colonel of the same regiment on January 1, 1777 after Silas Newcomb resigned the position. Ogden was captured by the British at Elizabethtown in November 1780. He was exchanged and later granted a leave by Congress in April 1783, to visit Europe. He was brevetted brigadier general by Congress in September 1783. Ogden was described by one historian as a "brave and gallant soldier". He died in 1791. October 9, 1775 Congress authorizes raising of two battalions from New Jersey. November 10, 1775 First six companies are raised. The 1st New Jersey Regiment ordered to Hudson Highlands. January, 1776 Detachment from 1st New Jersey Regiment assists in arresting Tories on Long Island. May 3, 1776 New Jersey Brigade (three regiments) ordered to Quebec, Canada. October 11, 1776 Battle of Valcour Island. 1st New Jersey Regiment participates under command of Benedict Arnold. Later ordered to garrison Fort Ticonderoga. November 5, 1776 All New Jersey regiments ordered to New Jersey for discharge and reforming. December, 1776 First New Jersey Regiment is reorganized. September 11, 1777 Battle of Brandywine. 1st New Jersey Regiment opens battle as Maxwell's Brigade plays prominent role. October 4, 1777 Battle of Germantown. As part of reserves under Nash, 1st New Jersey Regiment assaults Chew House. Winter 1777-78 Valley Forge Encampment. May-June, 1778 Jersey Brigade to harass British in New Jersey. June 28,1778 Battle of Monmouth. Jersey Brigade part of Lafayette's command. Winter, 1778-79 Encampment at Elizabethtown. Spring-Summer,1779 Wyoming Valley Expedition under Sullivan. June 23, 1780 Battle of Springfield. September 26, 1780 1st New Jersey Regiment reorganized (Third Establishment). October 19, 1781 Capitulation of Yorktown and Gloucester. November 3, 1783 1st New Jersey Regiment discharged at New Windsor Cantonment. The Regiment was authorized on October 9, 1775 in the Continental Army as the 2nd New Jersey Regiment and assigned to the New York (later Middle) Department. Organized between October 26- December 15, 1775 at Burlington and Trenton to consist of 8 companies from Gloucester, Hunterdon, Burlington, Salem, and Sussex counties. The men served under Col. William "Scotch Willie" Maxwell for an enlistment of one year. Relieved on January 8, 1776 from the Middle Department and assigned to the Canadian Department. Relieved on October 21, 1776 from Stark's Brigade and assigned to St. Clair's Brigade, an element of the Northern Department. Relieved on November 14, 1776 from St. Clair's Brigade and assigned to the Main Continental Army. It was assigned on May 22, 1777 to the New Jersey Brigade, an element of the Main Continental Army. Reorganized on February 7, 1779 to consist of 9 companies. Reorganized and re-designated 1 March 1, 1783 as the New Jersey Battalion, to consist of four companies. Furloughed on June 6, 1783 at Newburgh, New York. The 2nd New Jersey Regiment was raised, on October 9, 1775, at Trenton, New Jersey for service with the Continental Army under the command of Colonel William Maxwell. The regiment would see action at the Battle of Valcour Island, Battle of Brandywine, Battle of Germantown, Battle of Crooked Billet, Battle of Monmouth, Sullivan Expedition, Battle of Springfield and the Battle of Yorktown. The regiment was furloughed, on June 6, 1783, at Newburgh, New York and disbanded November 3 1783. October 9, 1775 - The 2nd NJ Battalion is authorized as part of the first establishment of the Continental Army. Originally New Jersey's contribution for 1776 was to be two battalions, but this was raised to three. December 1775 to February 1776 - The battalion was mustered and organized at Burlington and Trenton to consist of eight companies from Gloucester, Hunterdon, Burlington, Salem, and Sussex counties. The men served under Colonel William “Scotch Willie” Maxwell for an enlistment of one year. March to May 1776 - Assigned to the Canadian Department, the regiment belatedly took part in the investment of Quebec. The leading contingent arrived at the city on March 25. The siege of Quebec ended on May 5. June 8, 1776 - After enduring the retreat from Quebec, the regiment took part in the ill-executed action at Troise Riviers, Canada. July to November 1776 - Took part in the retreat from Canada to Crown Point and then to Fort Ticonderoga, NY. The unit formed part of the garrison there until November 13 when they returned to New Jersey. November to December 1776 - Ordered to reinforce Washington's army, the battalion marched to Morristown, NJ where they arrived about December 3 and were disbanded when one-year enlistments expired. Many of the men reenlist in the second establishment of the regiment for three year enlistments. January to April 1777 - The newly formed regiment headquartered in Burlington and then Princeton until April 5, is ordered to join the main army under General Washingon. May 22, 1777 - Maxwell's Jersey Brigade and Conway's Pennsylvania Brigade are ordered to form a division under Lord (General William Alexander) Stirling. May to June, 1777 - The regiment was stationed in the area between Middlebrook (modern-day Metuchen) and Short Hills, keeping watch on, and occasionally skirmishing with, the enemy. July to August 1777 - A period of marching and countermarching ensued after the action a Short Hills. General Howe's forces sailed on board the British fleet on July 24, their destination unknown. Unable to decide their objective, General Washington determined to cover all possibilities while waiting for news of the fleet. Stirling's Division moved from Middlebrook across the Hudson to Peekskill, NY and then back south again into PA. At their camp at “The Cross Roads”, in Bucks County, news was finally received that the British were in the Chesapeake. September 11, 1777 - Shreve's Regiment, along with the rest of the Jersey Brigade, took part in the Battle of Brandywine. Forced to move from their positions on the right of the army, along the creek, Stirling's Division marched to a hill near Birmingham Meeting House to counter a British flank attack. The three Continental divisions on the hill caught the full force of Howe's assault, which included the British Guards and light infantry. After an action of about 45 minutes, the defenders were forced to give way. With the army's right flank defeated, the battle was lost and the Americans retreated to Chester, PA. During the fighting on Birmingham hill, Colonel Israel Shreve was wounded in the thigh and did not return to duty until November. September to October, 1777 - The army undertook a series of marches and maneuvers designed to cover both the magazine at Reading Furnace and the capital at Philadelphia. In spite of their efforts, the city fell to the British. October 4, 1777 - At the Battle of Germantown, Washington's army assaulted the British encamped outside of Philadelphia. Maxwell's Brigade formed part of the reserve and as such attacked the Chew House in which members of the British 40th Regiment had barricaded themselves as the Continentals swept through town. After a series of futile assaults, the Jersey troops were forced to give up the attempt when the battle was lost and the Americans retreated. November to December 11, 1777 - On November 2, the 2nd New Jersey Regiment arrived at Whitemarsh, Pennsylvania with the rest of the Army. They remained here for six weeks. December 19, 1777 to March 1778 - Shreve's Regiment entered winter quarters at Valley Forge and stayed there until ordered, on March 19, 1778, to take post in Haddonfield, New Jersey. March 26 to May 31, 1778 - On detached duty and in cooperation with the Jersey Militia, the 2nd NJ gathered forage and supplies, and skirmished with the British and Loyalist for two months. At the end of May, the rest of Maxwell's Brigade joined them at Mt. Holly. April 4-5, 1778 - British forces repulsed Major Richard Howell and his troops from Billingsport. British troops attack Swedesboro and march on towards Haddonfield. Col Israel Shreve evacuates from Haddonfield about 2 am, Sunday morning , the 5th of April and speed marches his troops his troops to Mount Holly. Haddonfield is attacked, two Quaker houses are burned, American rider, Miles Sage is stabbed multiple times by British (but survives). British troops proceed to Cooper's Ferry (present site of New Jersey access of the Benjamin Franklin Bridge). A pitched battle ensures with about 50 American troops (most of whom were part of Shreve's Regiment), led by Major William Ellis (Gloucester Militia). Orders had been given by Shreve (the orders sent by Miles Sage, to vacate upon the ignition of an alarm cannon). The cannon was never fired, and Ellis refused to retreat across the Cooper Creek Bridge. Many men are wounded, killed or captured. The British were furious about the lost opportunity to capture Shreve at Haddonfield but elated about the capture of the American picket at Cooper's ferry (including a set of spy glasses given by Washington to spy upon the Philadelphia shore). Washington was furious at Shreve and never forgave him. June 1778 - The reunited Jersey Brigade kept watch on the British in Philadelphia in anticipation of their evacuation. June 28, 1778 - Maxwell's Brigade formed a part of Gen. Charles Lee's advance force in the opening phases of the Battle of Monmouth. Hampered by confused orders and heavy pressure from the British, Lee's troops retreated in disorder until they were met by the main army under Washington. The 2nd NJ covers the retreat of Lee's forces and fall back as reserves for the rest of the engagement. June to December 1778 - The Jersey Brigade is stationed in and around Elizabethtown, NJ to cover the area and counter any British moves from New York through the summer and autumn. December 16, 1778 to May 29, 1779 - The unit was ordered into winter quarters at or near Newark, New Jersey, where they remained until spring. At the end of May they marched to Easton, Pennsylvania, to join the expedition against the Iroquois, forming under Major General John Sullivan. June 18 to October 1779 - During this period the 2nd Regiment took part in Sullivan's campaign to destroy the power of the Indian allies of the British. They marched through Pennsylvania and into western New York, burning villages and laying waste to crops. On 24 August General Sullivan's army left Tioga, Pennsylvania, leaving behind Colonel Israel Shreve and a mixed detachment to garrison a small work called Fort Sullivan. The remainder of the regiment marched north with the rest of the army. On August 29th a force of Iroquois and Loyalist troops attempted an ambush at Newtown, New York, but were defeated and driven from the field. Maxwell's Brigade was in the reserve during this action. The army returned to Easton on October 15th. December 1779 to April 1780 - On the 17th of December the brigade arrived at Eyre's Forge on the Hardscrabble Road, located between Jockey Hollow, Basking Ridge, and Vealtown (present-day Bernardsville). The Jersey regiments made this site their winter quarters, remaining there until April or May of 1780. June 7, 1780 - The 2nd New Jersey took part in the Battle of Connecticut Farms, New Jersey. Colonel Shreve wrote that this "Action was the warmest that has Ever Happened since the war with Our Brigade." June 8 to June 22, 1780 - The brigade kept watch on British forces encamped behind their fortifications at Elizabeth Town. June 23, 1780 - Shreve's Regiment again saw action in the Battle of Springfield which resulted in the retreat of the British army back to Elizabeth Town. At midnight on the 23rd the enemy troops crossed back to Staten Island. June to November 1780 - During this period the Jersey Brigade was situated at several posts to protect the New Jersey side of the Hudson from enemy incursions. In October they moved to West Point and entered barracks in anticipation of remaining there for the winter. The brigade also lost their long-time commander, William Maxwell having resigned from service. November 1780 to January 1781 - Contrary to expectations the Jersey troops were ordered to take up winter quarters in and around Pompton, New Jersey. With the new year another change in command took place, with Israel Shreve resigning as colonel of the 2nd New Jersey and Colonel Elias Dayton assuming the post. 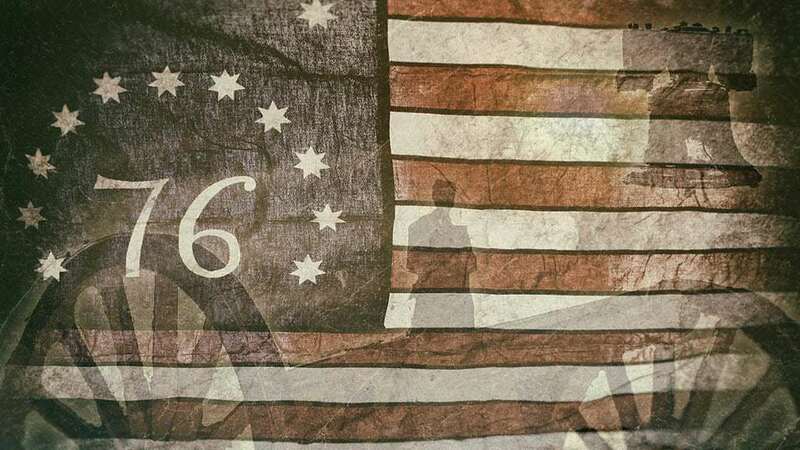 January 20 to January 27, 1781 - The men of the Jersey Brigade at Pompton mutinied to redress their grievances in emulation of the Pennsylvania troops. The uprising was suppressed quickly with the execution of two of its leaders. In February, after the Pennsylvania Line mutiny, the New Jersey soldiers moved into the old Pennsylvania huts at Mount Kemble (Jockey Hollow). February 1781 - Two light companies and three battalion companies from the New Jersey line along with the light troops from New England were selected to form a detachment under the Marquis de Lafayette to serve in Virginia. In addition to other skirmishes during the spring and summer, these men saw action on June 26, 1781 at Spencer's Ordinary, near Williamsburg. They were reunited with the rest of the Jersey Brigade at Williamsburg in late September of 1781. February to June 1781 - During the first six months of the year the two New Jersey regiments kept a large proportion of troops on detached duty, including one company on duty at Wyoming, Pennsylvania. Besides commanding the 2nd Regiment, Colonel Dayton had charge of the brigade, keeping his headquarters at Chatham, New Jersey. On 30 June Dayton was ordered to concentrate the whole brigade at Morristown, excepting the troops at Wyoming. June to August 1781 - On June 30 the brigade was ordered to march towards Kingsbridge. They were then redirected towards Dobb's Ferry and remained in the vicinity of that place until August. On July 21 the brigade was ordered to send a detachment of troops to Fort Lee and on the 28th 150 New Jersey soldiers escorted General Washington as he reconnoitered the British positions at New York from the Palisades at Fort Lee. August 29, 1781 - The Continental army left Springfield, New Jersey, bound for Virginia in an effort to trap British forces under Lord Cornwallis at Yorktown. September 2, 1781 - The American forces passed through Philadelphia on their way south; the following day the French army under General Rochambeau marched through the city. September 5, 1781 - On this day the French and British fleets battled for control of the Chesapeake Bay. With the defeat of the British fleet the escape of Cornwallis' troops by sea was blocked. September 23, 1781 - The first contingent of New Jersey troops under General Washington landed near Williamsburg, at which place they joined the force under Lafayette. September 29, 1781 - The siege of Lord Cornwallis' forces at Yorktown was begun. October 14, 1781 - On this date, at night, the Jersey Light Infantry under Lt. Colonel Francis Barber took part in the assault and capture of Redoubt Number 10. This was one of two important strongpoints taken, Redoubt Number 9 being captured by French troops. October 19, 1781 - The capitulation of the British and German forces at Yorktown took place, the enemy troops surrendering their arms to the French and American armies. December 1781 to August 1782 - The New Jersey regiments for their winter cantonment "take Post somewhere in the Vicinity of Morristown." The troops may have been housed once more in the old Pennsylvania Line huts at Mount Kemble. August to October 1782 - Through the first half of the year the Jersey regiments spent most of the time in small detachments doing duty as guards and picquets. On August 29 they left their huts and marched north to join the main army on the other side of the Hudson at Verplanks Point, crossing at King's Ferry. Leaving Verplanks in October and traveling north, they marched from "Murderer's Creek" on the 29th a distance of "about five miles to our ground for hutting and encamped." October 1782 to Spring 1783 - On the 30th of October General Washington wrote from Newburgh, New York, that the regiments of "New Jersey, are hutting in the Neighborhood of this place" it being "of Importance to the Health, care and comfort of the Troops, as well as economical on many Accounts, that they should be early put into Quarters for the Winter." This, the last cantonment for the army, was located at New Windsor, New York. This last winter was relatively uneventful. Ebenezer Elmer, surgeon's mate and then surgeon to the 2nd New Jersey Regiment from 1777 to 1783, recorded the end of the war in his diary. On April 19 "The cessation of hostilities was announced in camp just eight years from the commencement thereof." And finally "Our brigade received our furloughs, and we all decamped" on June 6, 1783. The war was finally, and successfully, over. The Regiment was authorized on January 10, 1776 in the Continental Army as the 3rd New Jersey Regiment and assigned to the New York (later Middle) Department. Organized between February 7 - May 18, 1776 at Elizabethtown to consist of 8 companies. Relieved on March 14, 1776 from the Middle Department and assigned to the Main Continental Army. It was assigned on April 24, 1776 to Stirling's Brigade, an element of the Main Continental Army. Relieved on April 27, 1776 from Stirling's Brigade and assigned to the Northern Department. Relieved on March 1, 1777 from the Northern Department and assigned to the Main Continental Army. Disbanded on January 1, 1781 at Pompton, Men merged into the 1st and 2nd New Jersey Regiments. The 3rd New Jersey Regiment was raised, on January 1, 1776, at Elizabethtown, New Jersey for service with the Continental Army. The regiment would see action at the Battle of Valcour Island, New York Campaign, Battle of Brandywine, Battle of Germantown, Battle of Monmouth, Sullivan Expedition, and the Battle of Springfield. The regiment was disbanded, on January 1, 1781, at Pompton, New Jersey. The Regiment was authorized on September 16, 1776 in the Continental Army as the 4th New Jersey Regiment. It was assigned on December 27, 1776 to the Main Continental Army. Organized between November 27- February 17 at Morristown. It was to consist of 8 companies. Disbanded on February 7, 1779 at Elizabethtown. The 4th New Jersey Regiment was raised on September 16, 1776 at Elizabethtown, New Jersey for service with the Continental Army. The regiment would see action at the Battle of Brandywine, Battle of Germantown and the Battle of Monmouth. The regiment was disbanded on February 7, 1779 at Elizabethtown, New Jersey. Search New Jersey Revolutionary War Rolls, 1775-1783 fromThe National Archives: NARA M246. These documents include muster rolls, payrolls, strength returns, and other miscellaneous personnel, pay, and supply records of American Army units, 1775-83. Search Compiled Service Records of Soldiers Who Served from New Jersey in the American Army During the Revolution from The National Archives: NARA M881. Compiled service records of soldiers who served in the American Army during the Revolutionary War, 1775-1783. Search the Revolutionary War Pension and Bounty-Land Warrant Application Files of New Jersey Veterans from The National Archives:: NARA M804. The records in this collection include entire pension files for soldiers and sailors who served in the Revolutionary War. Unlike selected service records, which were typically chosen subjectively for genealogical content, these records reveal more details about each veteran's history and service, as well as more information about his family, state of health, and life after the war.